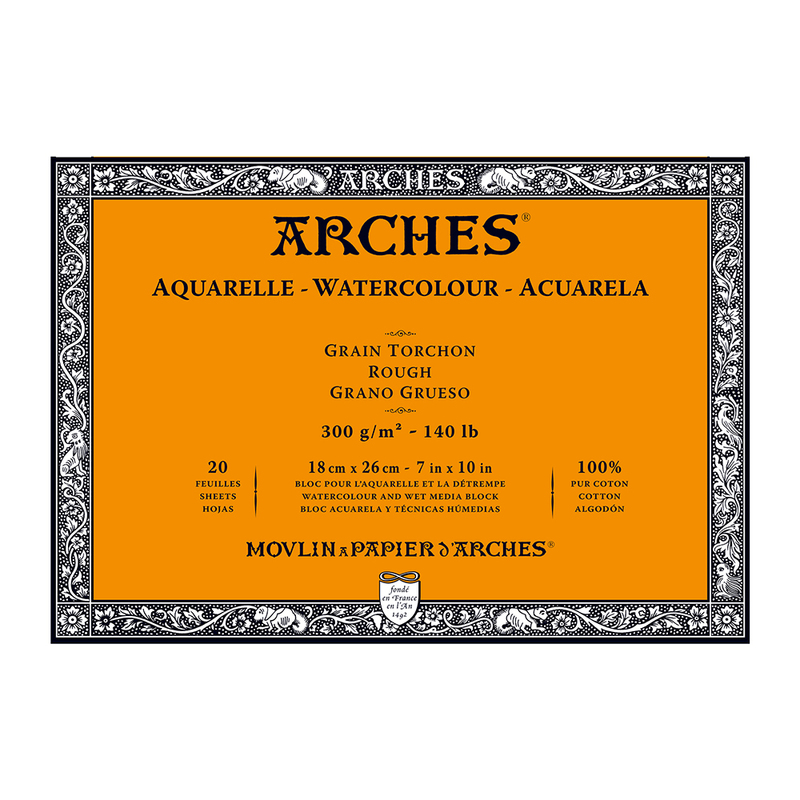 ARCHES watercolour paper is a 100% cotton paper. 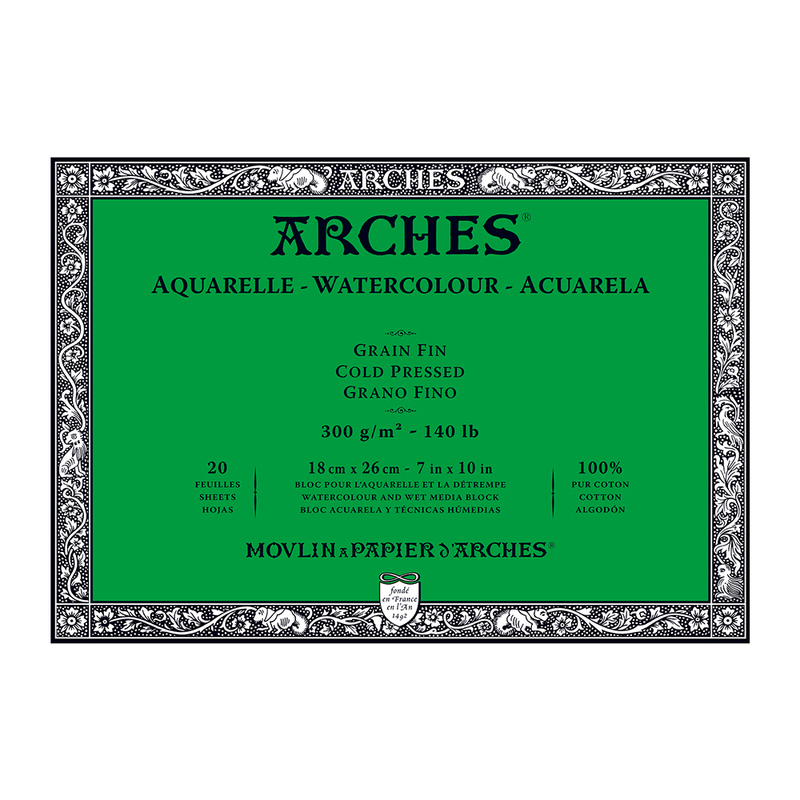 ARCHES Watercolour Paper is a professional grade watercolour paper of the highest quality. Manufactured in the same French mill since 1492, ARCHES watercolour papers are produced on a cylinder mould with pure French stream water. Made with natural gelatin sizing; naturally white containing no optical brighteners offers optimal longevity. 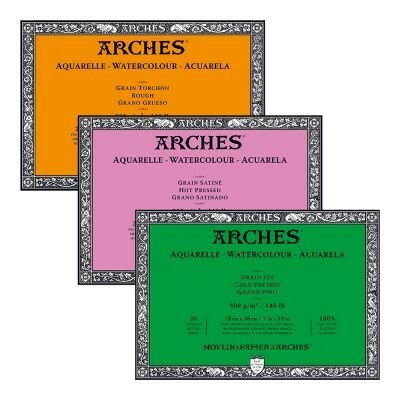 Each sheet of ARCHES watercolour paper is hand inspected to ensure consistency and durability. ARCHES is strong enough to handle multiple washes of colour, masking fluid, scrubbing and artist tape without damage to the surface. Each sheet is permeated with sizing to give each fibre a consistent feel and absorbency. It is an ideal paper for watercolour and other wet media, and can also be used for drawing and printmaking. 20 sheets per block, glued 4 sides and available in 140lb (300gsm) HP, NOT and ROUGH. 300lb ARCHES blocks are also available here. Arches watercolour block - Arches Watercolour Block 140lb (300gsm) HP 7"x10"
Excellent - Arches Watercolour Block 140lb (300gsm) Rough 9"x12"